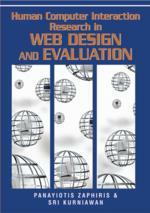 This chapter explores user-centered design concepts such as personas, scenarios and task analysis. It argues that combining ethnographic research and psychographic data to create personas and scenarios produces powerful quantitative and qualitative evidence for product requirements. The chapter also illustrates ways the resulting interface specifications can be developed with fidelity to those initial requirements. This approach offers a substantive understanding of the nature of designing interfaces for a variety of contexts. Furthermore, the author hopes that by outlining and describing the various tools and techniques available to the user-centered design team, more complex and hybrid models of user research design will be developed for creating and studying information systems, as well as assist in the understanding of the intricate relationships that exist between different ways in producing user-center designed products as a whole.